Then there’s like 7-8 pages of pure taijutsu fighting. 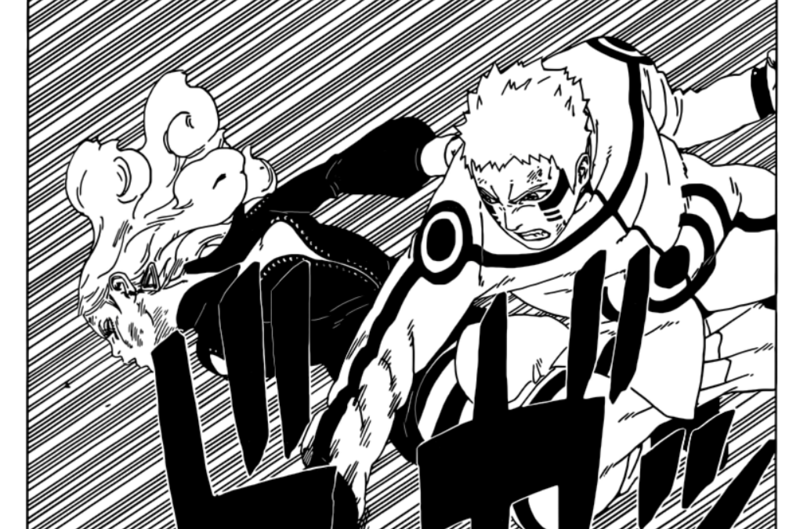 Both of them are hitting each other, they look pretty even but Boruto noticed something. Boruto noticed that Naruto is actually really angry. Even he’s getting chills. Delta is thinking that Naruto is still human and she should wait for the chance to use her destructive beam of light to finish him once and for all. 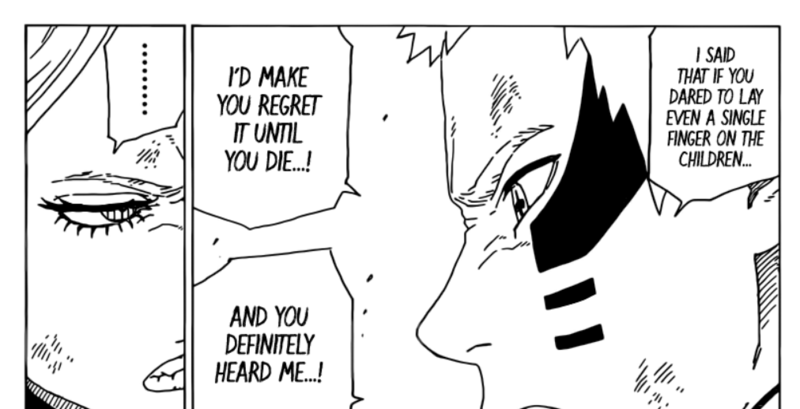 Naruto starts talking… and you guys are gonna love this scene. It was amazing! Then Naruto starts approaching Delta and Delta is thinking that it’s the perfect time to use her beam of light but Naruto has a plan of his own. Delta tries to attack him but Naruto blocks the beam of light with his Giant Rasengan. Delta starts absorbing the Rasengan and is like, “Are you stupid? Did you forget I can absorb any jutsu?” It looks suspicious at first but Boruto realized Naruto’s plan in Boruto Chapter 33 perfectly!